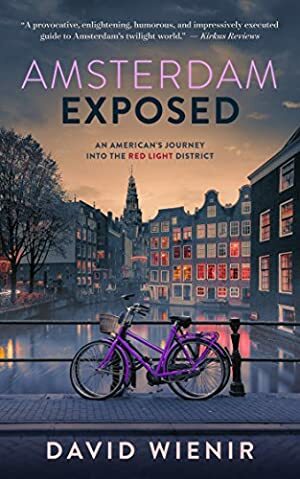 Amsterdam Exposed tells the true one-of-a-kind story of an innocent exchange student who moves to Amsterdam hoping to write a book about the red light district and everything that follows. It's an American abroad story, and also a love story; it's an uplifting tragedy, full of humor from beginning to end; it's an Amsterdam survival guide; a sympathetic look at a societal problem; a little piece of policy; a sweet farewell to a world just about gone; and, ultimately, as close as you can come to a free trip to Amsterdam without leaving your couch. In sum, Amsterdam Exposed takes readers deep into the district on a journey never before possible, forever reshaping their understanding of one of the most famous tourist attractions in the world, and the women who work there. If you've ever spent time in Amsterdam, or dreamed of doing so, this book's for you. We started tracking this book on May 2, 2018. The price of this book has changed 19 times in the past 354 days. The lowest price to date was FREE last reached on April 2, 2019. The highest price to date was $4.99 last reached on July 5, 2018.